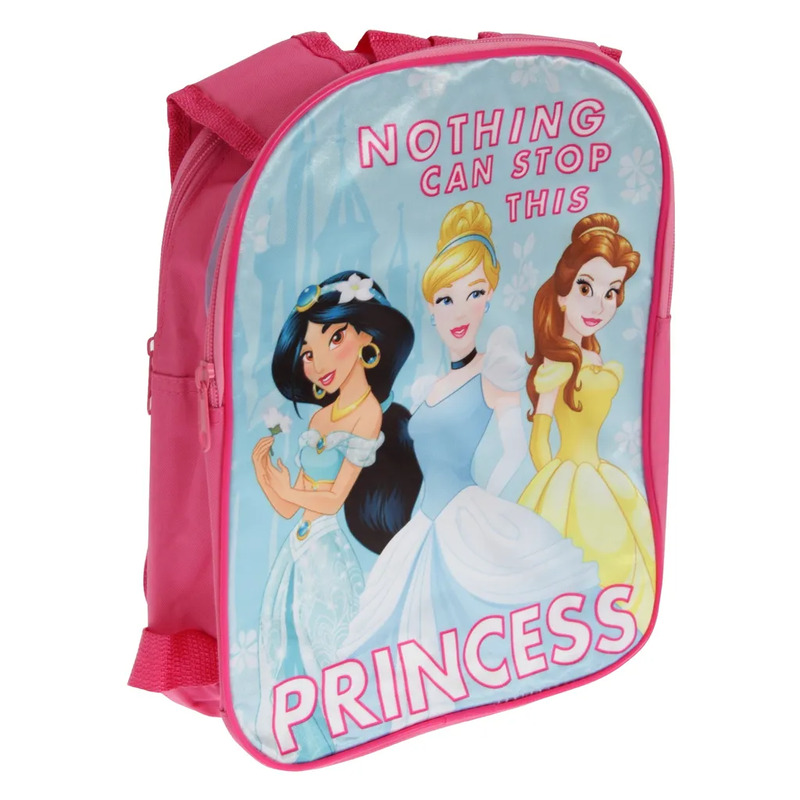 Girls backpack with Disney princesses image, and Nothing Can Stop This Princess message. Adjustable straps that can be reversed so that the back features an image of different characters. Ideal for carrying school supplies, especially for Disney Princess fans. Warning - not suitable for children under 3 years.